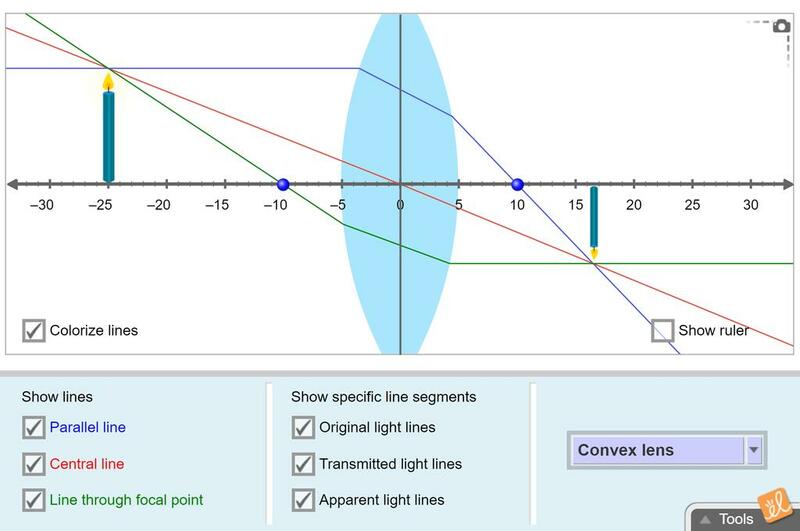 Observe light rays that pass through a convex or concave lens. Manipulate the position of an object and the focal length of the lens and measure the distance and size of the resulting image. Really illustrates to students how moving the object around affects the image. Great Gizmo for the new Ontario grade 10 Light Unit!